Leaders in the automotive industry are highly innovative in the development of global sourcing strategies that have been designed to quickly adapt to a changing landscape of suppliers and consumer demand. aPriori has more than 10 years of successful experience in the automotive industry rapidly deploying advanced enterprise Product Cost Management (PCM) solutions into complex global product development and manufacturing environments. 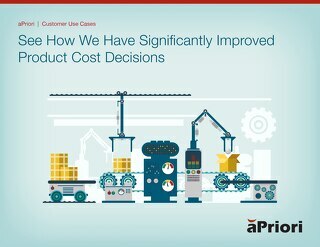 Flip through this easily digestible eBook to learn more about how aPriori can affect product cost strategies. A recent Industry Week survey of discrete manufacturers discovered costs are getting out of hand. Many companies are making it a priority by investing in simulation software. Here are a few top tips. 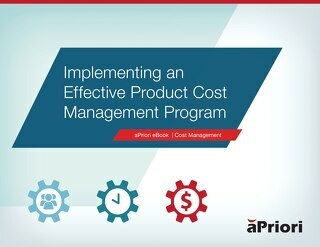 Check out these real world use cases of product cost management projects completed by our customers & see the savings they have realized using aPriori. Easily digestible eBook format. 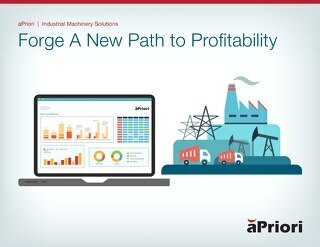 This eBook outlines challenges aPriori addresses for industrial machinery manufacturers including mtg. 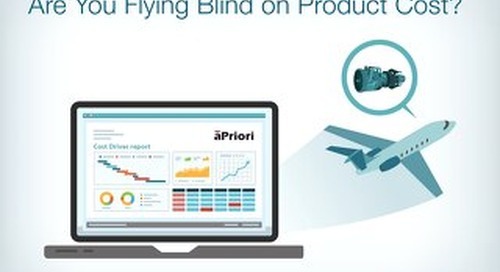 target costs, reducing product costs, improving negotiations w/suppliers and more. 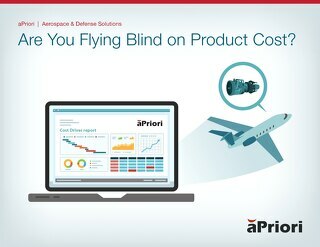 Aerospace & Defense teams involved in product design/sourcing/mfg/assembly can collaborate on a single platform to access & understand evolving product cost info to inform critical tradeoff decisions. 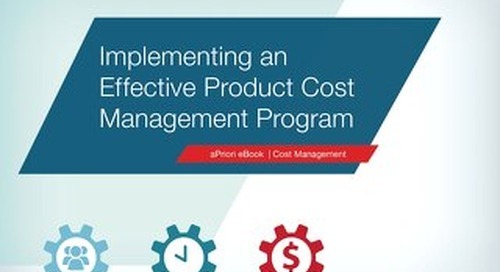 This eBook discusses some of the obstacles involved and outlines key considerations and best practices for initiating an effective product cost management program.